Shouldn’t we be able to munch on something tasty in between our meals without guilt or ruining our diet? Well, the answer to this is yes, absolutely. If you’re hungry before dinner is served eat something for crying out loud! Eat a healthy Paleo Diet Snack. With these snacks you don’t have to starve yourself or feel deprived of fun, crunchy foods. This diet provides you with unlimited possibilities on how to snack well. These are healthy snacks for teens as well! 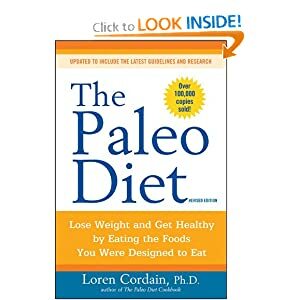 What are Paleo Diet Snacks? Making you own Paleo Diet Snacks can be fun and easy. In general for baking use Almond Flour instead of regular backing flour. You can also dehydrate fruits, veggies and even meats for treats like dried apricots potato chips and jerkies. These paleo approved options are sure to stimulate your taste buds while keeping your health in check. Lets take a closer look at banana chips. This is just one example of a Paleo Diet Snack that is sure to satisfy your snack cravings while helping you to maintain a healthy Paleo Diet. So remember, having a snack food cravings no longer has to be a bad thing that includes unhealthy toxic foods. Be creative and explore healthy snack options like the ones listed above and your body will thank you for it. Until next time, snack well. Hi, My name is Lawanda and I am passionate about health and fitness. I enjoy sharing my research and experience with those who are interested in maintaining a healthy lifestyle. I am a dancer for a company that encourages holistic health and well-being and I am also a certified group fitness instructor.